It’s taken me a long time to get around to writing this post. When I first started this blog in January of 2009, I did it anonymously, and I’m not really sure why anymore (I guess the on-line world was new and scary to me, and I was working through how I would maintain privacy). In the time since then, I have come to know many of the visitors to this blog quite well, and my circle of on-line running friends has grown immensely. I’m now proud to be able, on any given day, to converse with runners in nearly every corner of the United States, and with others who live on the opposite side of the planet – I genuinely view them all of them as my friends, and I like to refer to them as such. I owe this to the internet and sites like Twitter and Dailymile, and if I had remained anonymous in writing this blog, none of it would have been possible. With that introduction, here is a post to provide a little more information about who I am. I grew up in West Hartford, CT, which is a sprawling suburb of the state capital of Hartford. For any of you who might be familiar with the area, I grew up within walking distance from the Westfarms Mall. I loved being outdoors, and playing in the brook (you might call it a creek if you’re from the south or midwest) in the woods across the street is one of my fondest memories. I was always fairly active as a young kid, and my childhood passion was hockey, though I unfortunately never learned how to properly ice skate. I was, however, a pretty darned good floor/deck/street hockey player, and that passion extends to this day. In addition to participating in sports, I was and still am a big sports fan. I was a huge fan of the Hartford Whalers, until they up and moved to NC, which forever ended my interest in the NHL. I remain a big fan of the Boston Red Sox, New England Patriots, and University of Connecticut basketball – my membership in a fanatical Red Sox Nation family resulted in my being nicknamed Pudge (after Cartlon Fisk) back in the 1970’s, and I’m still referred to by that name by friends and family from CT.
Middle school coincided with a dramatic decrease in activity, and I was out of shape and became downright pudgy. I remember vividly struggling through a one-mile run test, and this is my first actual memory of running. I was ashamed of my inability to run like some of my classmates, and vowed to do something about it. I decided to try out for the soccer team in high school, and started running around my block during the summer to get myself in shape. It worked, I slimmed down considerably, and I wound up playing soccer all four years in High School. I was never a particularly good soccer player, but I worked hard, and passing the 3-mile test in just under 21 minutes to make varsity my senior year was a moment of great pride for me. In addition to soccer, I played tennis for a few years in High School, which I also enjoyed. I ran throughout High School, but never really for any kind of enjoyment, and I remember thinking that the kids on the XC team must have been crazy (I now wish I had done XC instead of soccer!). I left for college in VA in 1993, where I attended the University of Richmond. I studied Biology, stopped any semblance of physical activity, and gained a lot of weight in my first 2 years (the freshman 15 was a reality for me). This wouldn’t change until the summer after my Junior year, when I was working in a lab with my future wife. Turns out we had a secret crush on each other for the entire summer, but did nothing about it until the very end. That summer I started to diet and exercise a bit, lost a bunch of weight, and finally felt good about myself. My wife, Erin, and I went on our first “date” to Maymont Park in Richmond one weekend morning in August of 1996, and we’ve been together ever since. Erin and I graduated from the University of Richmond in 1997, and headed on a camping trip across the country for six weeks. We visited about 15 National Parks (Glacier, Zion, and Yosemite are favorites), hiked like crazy, and had an absolute blast enjoying our youthful freedom. We returned to Richmond to work for the Fall through Spring (1997-1998), then headed off to the Great Smoky Mountains National Park for summer 1998 to work on field crews studying birds (her) and salamanders (me). The physical activity was intense, and that summer I was in arguably the best shape of my life. We were hiking 5-10 miles a day up mountains, and I remember at the end of that summer practically running up a trail (Chimney Tops for those who know the park) with a frame pack full of wooden boards on my back, marveling at the shape that I was in. We moved on from the Smokies to graduate school at Ohio University in Athens, OH, where I studied to get my Ph.D. in Ecology and Evolutionary Biology (my dissertation was on evolutionary and developmental anatomy in frogs/tadpoles, with a hint of feeding biomechanics thrown in for good measure). Erin got a Master’s in Environmental Studies, and started working for the US Forest Service as a botanist. We spent an awesome five years in Athens, and it was there that I first started running in earnest (but never more than 2-3 miles at a time). I was finishing up my Ph.D. in early 2003 when we received the wonderful news that Erin was pregnant with our son, our first child. We desperately wanted to return to New England at that point – both of our families were there (Erin is from Maine), and though we loved exploring the country during our college/grad school years, our hearts remained in the Northeast. Luckily, I was offered a job at a small college in Manchester, NH (Saint Anselm College), and I accepted with little hesitation. It turned out to be a great decision, and we remain in NH today. Our passions constantly change throughout our lives. When I think about who I am and what defines me right now, there are really three overriding things: my family, my job as a teacher, and my running. My family has grown to include 3 kids (newborn, 4yo daughter, and 6yo son). We also have two fat cats, a highly energetic black lab named Jack, assorted fish (the number changes frequently due to attrition! ), and about 5 million stuffed animals (at least it seems that way!). My job affords me an ability to spend large amounts of time with my family in the summers, which is a huge perk of being a teacher, and I value this time over everything else. My wife is incredibly supportive of my running habits, as I am of her passion for yoga, and we trade time for each other to pursue our individual interests. I’m often asked by friends how I find time to run with a full time job and young kids, and the simple answer is that my wife is awesome, and we support each other in following our passions. Professionally, I’m a college professor, though that title still sounds too formal to me. I like to think of myself as a teacher, and I’m passionate about my profession. I love being in the classroom or lab with students, and I couldn’t have chosen a better career than the one I have. I currently teach Human Anatomy & Physiology, Developmental Biology, Comparative Vertebrate Anatomy, and the Biology of Sports and Exercise (essentially Exercise Physiology). I’m really excited about the latter course as it allows me to combine my personal and professional interests in the classroom, and my students seem to have enjoyed this class as well. As a college professor, research is also a part of my job description, and most of my work has been done on cranial anatomy in frogs/tadpoles, though I’m beginning a slow move in the direction of running mechanics and exercise physiology research. Changing research directions can be like moving a mountain for an academic, but I’m hoping that if I follow my passion my enthusiasm for this new direction will carry me through. I also plan to blog about this transition, and progress will be documented here on Runblogger. If your interested in my job, you can check out my work webpage here: http://www.anselm.edu/internet/bio/larsonpage.htm. So that’s my story, I hope you enjoyed it. If you have one of your own, drop me a comment with a link – I’d love to hear about you as well! As I mentioned on twitter, it’s nice to read the “behind the scenes” of our friends/followers. I look forward to seeing you hit your running goals! Great post Peter, and I second the first commenter – always great to see the curtain pulled back a little and get a behind the scenes peek. Great post, Peter. Good luck with your move to exercise physiology. I admire people who are brave enough to follow their passion like that. And enjoy the stuffed animals! As an empty-nester, I’m hear to tell you the stuffed animal attrition happens way too fast. It’s a bit sary to contemplate changing fields, but we’ll see how it goes. Bummer, my comment never came through yesterday. Funny that the skinny one in the family ends up being called Pudge. I think that Seahawks shirt originated when they were an expansion team. I seem to remember someone having a Tampa Bay Bucs Tshirt too…maybe even pennants as well. Seems like the kind of thing Dad would have bought. the closest thing I have to what you are asking about. I absolutely love your blog. Tremendous. I share in a similar running renaissance as well, as I ‘discovered’ running in my late 30’s and now it plays such an essential component to my daily life. Dropped 50 lbs, lowered my triglycerides from 387 to 41, and am 1/2 way to attaining my black belt in Taekwondo – and it all started by going for a run one muggy August morning last year. Now I’m running 12 marathons in 12 months, and with Oct/Nov/Dec complete, looking forward to #4 in Miami next month. Feel free to check out my blog http://www.12marathons12months.com. Hope you run VCM again this May, I’m running it as well! there are others like myself! My name’s Angelina Ramos and I, too, am a Connecticut native. Congrats on the marathons you’ve completed–very impressive. I ran for both Danbury High school as well as New Fairfield High School growing up. 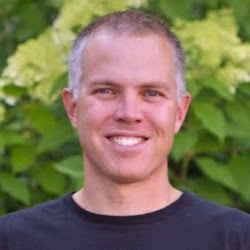 I ran xc/track for Florida State University in college, too, and continue to train competitively post-collegiately in xc and track more specifically, as a former sports journalist and editor for Trackshark.com who loves reading all things running, I wanted to say that I like your blog. 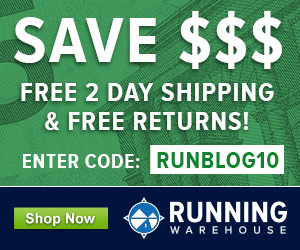 I currently work for link to invisibleshoe.com doing PR and I would love it if we could send you a free pair of huaraches for you to try out and review on your guide to minimalist running shoes on your blog or wanted to see if you’d be interested in interviewing our CEO Steven Sashen in a podcast sometime. If you have any interest in the above opportunity, or just want to catch up with running natives from Ct, I would love to hear from you at Angelina@invisibleshoe.com. Thanks so much and happy running! I just came across your blog and am enjoying your running talk. I am very new and hoping to learn to love it as you all do. It took me to run about 5 to 6 miles before I realize that the first 2 mile is a drag and the rest is much lighter. It’s only been a month of running so I hope to find and learn more. Running used to feel as if I am dragging myself and an extra 200 pounds and I get so bored. Now, I only feel like this once since then. I am hoping i can change this behaviour with more consistent training. Thanks for your blog. Keep at it – running changed my life! Just wanted to let you know what a great blog you have. Really super job Pete. I really liked your coverage of foot strike (fore, mid, heel) as my g/f is about to start running and the images and movies you posted helped her to identify proper mechanics and healthy running habits. Hi Pete! I stumbled on your blog from Natural Running Center’s excerpt of your book. Our bios sound eerily similar — in terms of places we’ve lived, running (I also was terrible in elementary/middle school, then played soccer, then started running again in grad school) and professional (I also have a Ph.D. in Biology, but left academia last year due to the crazy job market). Anyway, looking forward to reading more from you. I’ll try to find you on dailymile. I can completely understand why you wanted to start it anonymously, so did I.
Hi Pete, can you give me / your audience an updateded review of the New Balance 730s? It’s been a long time since I’ve run in them, so not much to add at this point. I’d say what I wrote holds. The shoe is one of the best bargains on the market right now! I thought you would be interested in speading this post we did on Matador. Feel free to reach for anything. We would love to have a relationship!